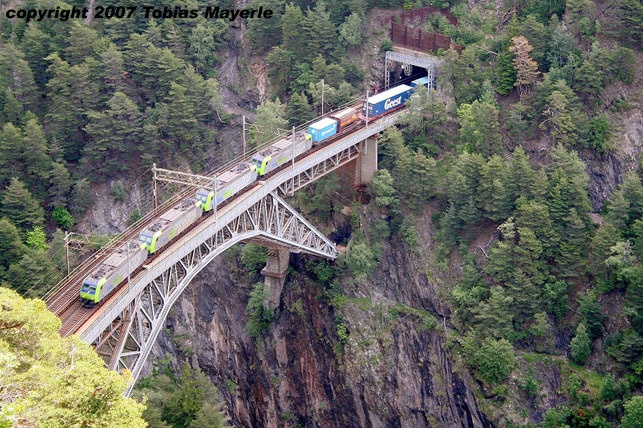 (Photo: Tobias Mayerle, added 11.08.2008). 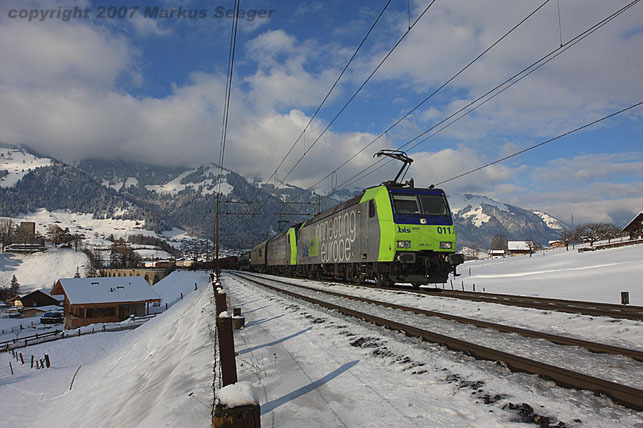 (Photo: Tobias Mayerle, added 18.01.2008). 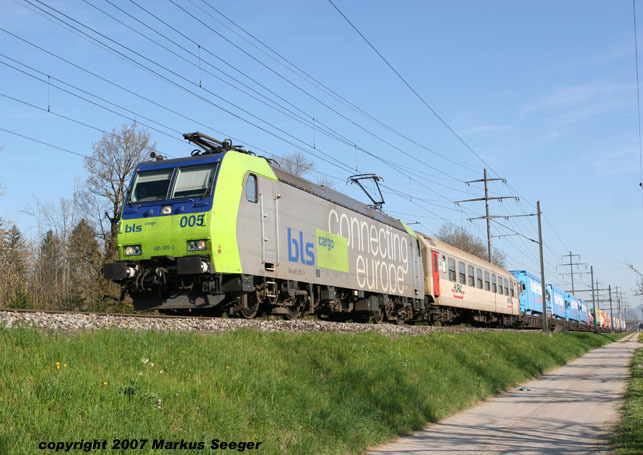 (Photo: www.trainpassion.ch, Daniel Schärer, added 19.03.2008). 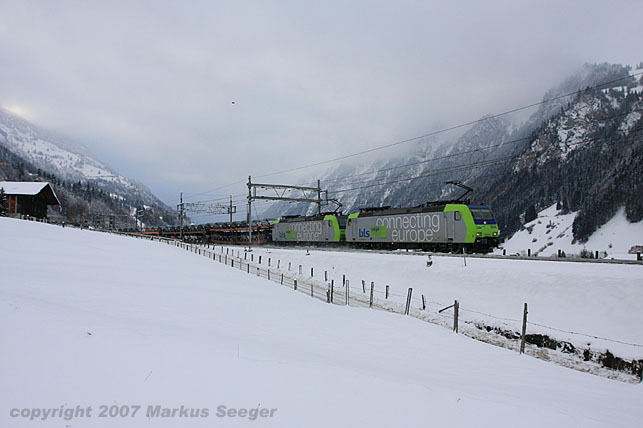 (Photo: Markus Seeger, added 25.01.2008). 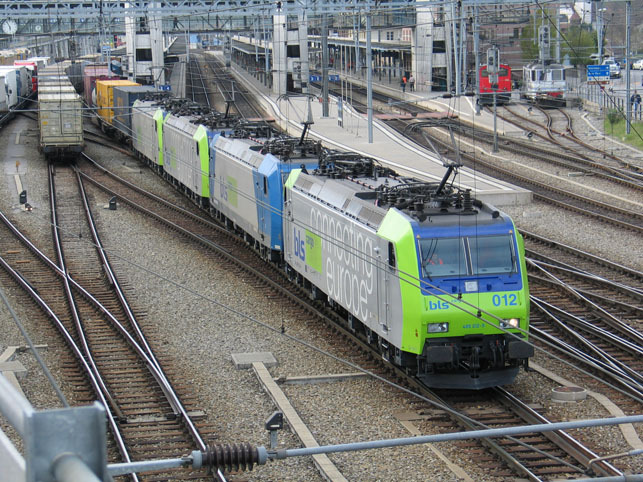 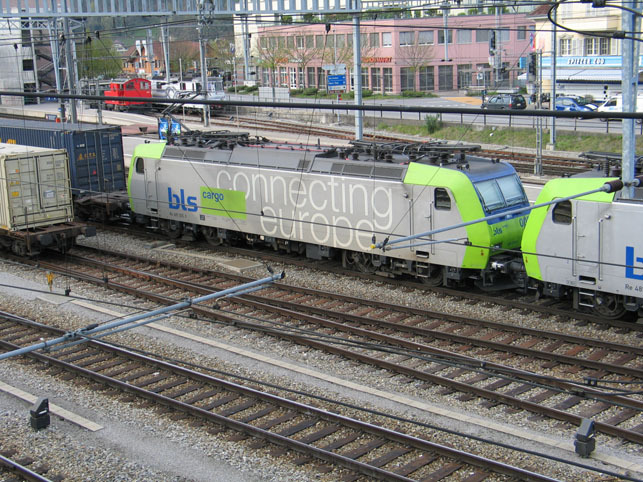 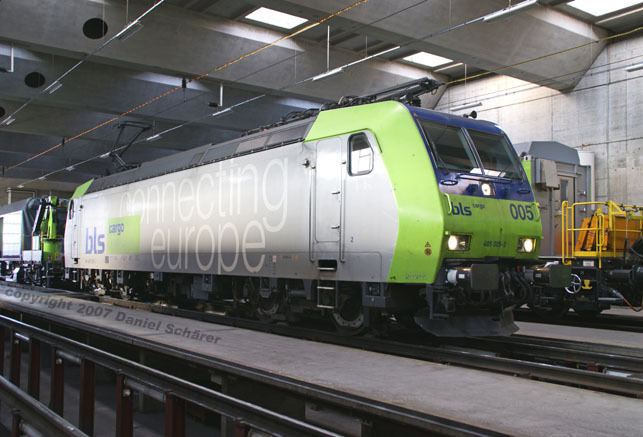 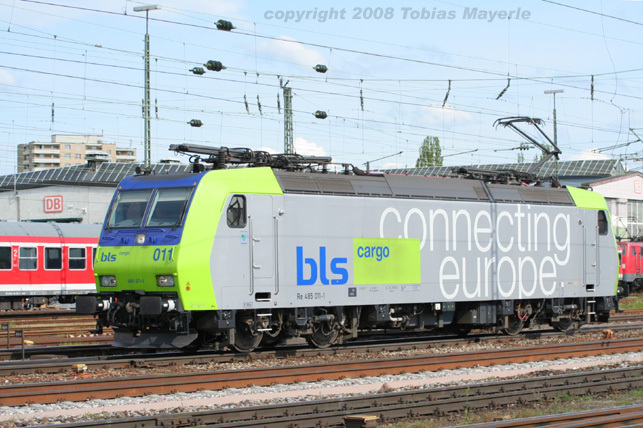 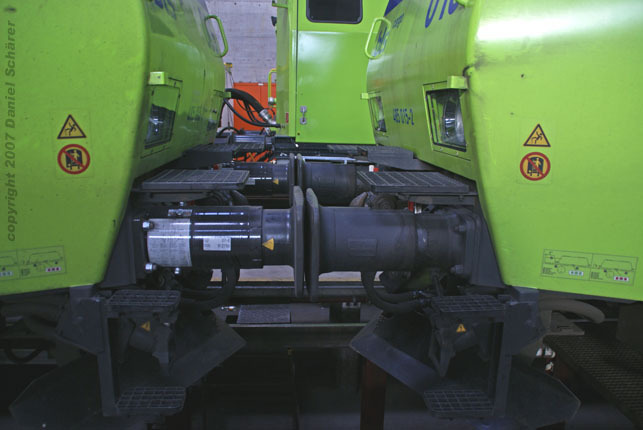 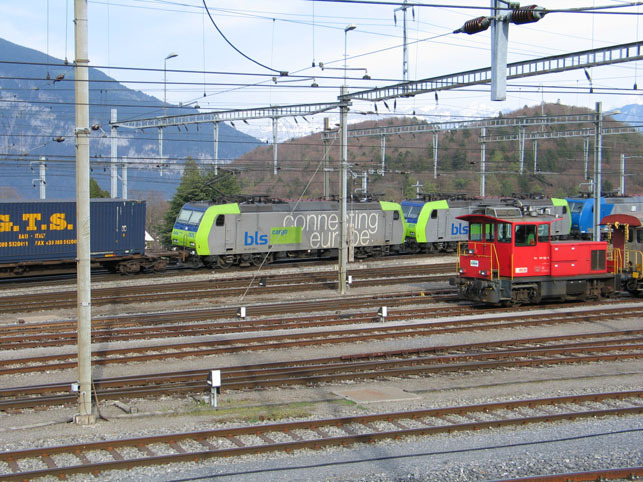 BLS Re 485 005 in the Spiez depot, after retro-fitting EST Crash Buffers type G1-200 M.
(Photo: www.trainpassion.ch, Daniel Schärer, added 16.04.2007). 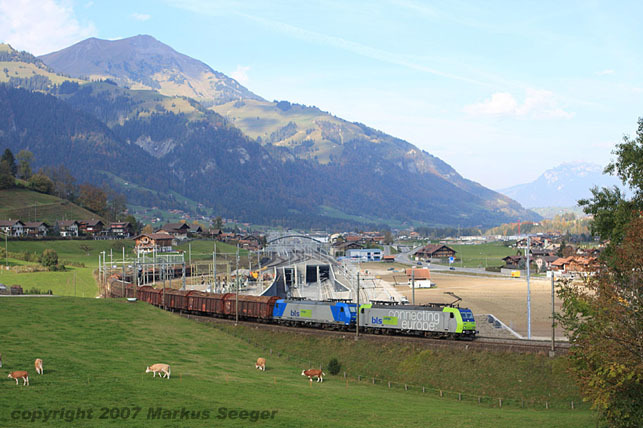 departure onto the Lötschberg ramp to cross the Alps. 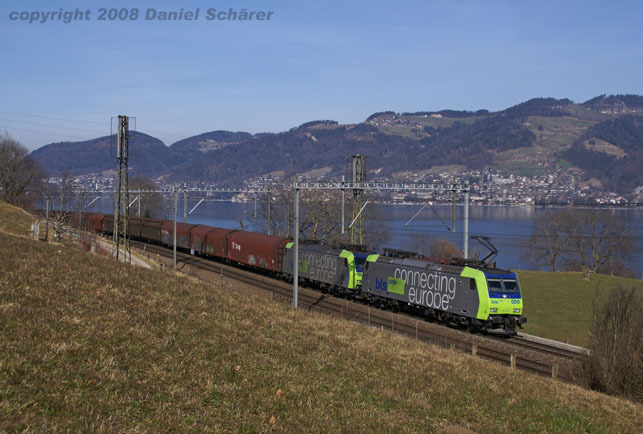 (Photo: Markus Seeger, added 19.04.2007).